Last week, Apple released a new iOS app called Music Memos. On their website, they describe it as an app to capture your song ideas whenever inspiration strikes. But how is it any different from the Voice Memos app already installed by default? In a lot of ways, actually. Sounds amazing, doesn’t it? I was really impressed with GarageBand for iOS when Apple released it in 2011 and over the years it’s only gotten better. (A 32-track recorder in your pocket!? With more than 1200 loops!? Crazy.) So naturally, I was very curious about this new Music Memos app. Here’s an in-depth look at the app followed by my first impressions after using it for a couple of hours. I’ve also included some sample tracks that I created using the app. The first screen when you open Music Memos is always the recording view. Not just the very first time you launch the app, but every time. You’ll appreciate this if you’ve ever found yourself scrambling to record a song idea before you forget it. Music Memos is ready to record as soon as you are. 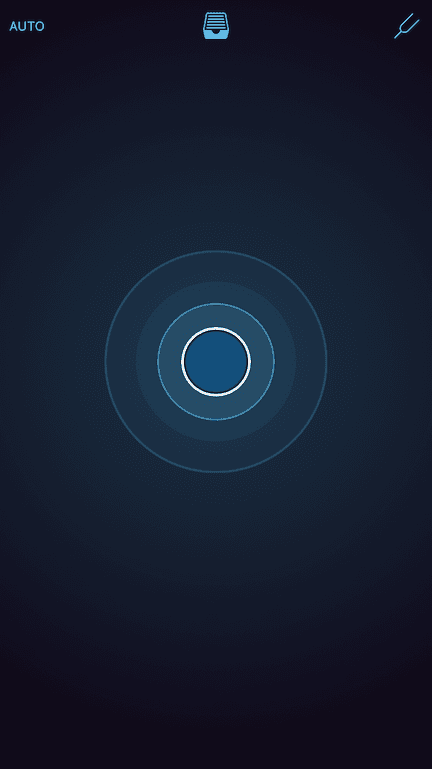 The large blue button on the centre of the screen radiates blue circles giving visual feedback of the input level. 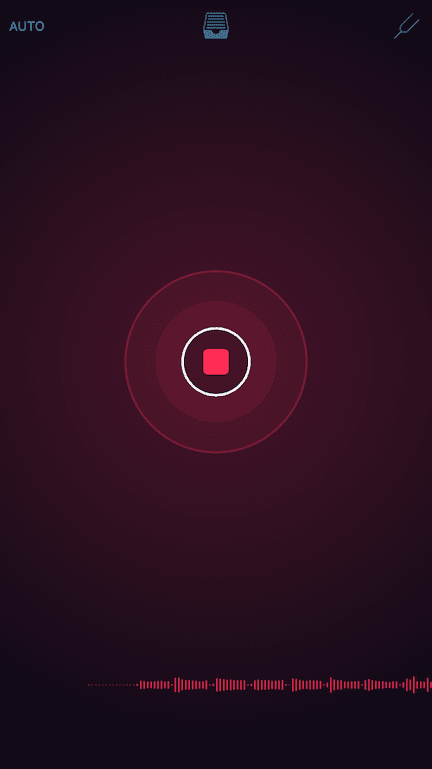 Once you tap the button to start recording, everything turns red and a waveform appears at the bottom of the screen with a real-time view of the audio being recorded. After recording your song idea, you’ll be able to trim the beginning and end so you don’t need to worry if you took too long to tap the button. However, if you prefer to work hands-free, there’s also an “auto” button at the top-left corner of the screen which lets the app automatically start recording when it detects that you’ve started playing. With auto mode turned on, the recording will also automatically stop when you do. Of course, if you want the app to detect your chords accurately, you’ll have to make sure that you tune your instrument first. No problem, the Music Memos app includes a basic tuner. There’s no need to manually select a starting note — the pitch is automatically detected by the app and displayed on screen. A horizontal indicator lights up to the left when the pitch is flat and to the right when the pitch is sharp. The whole display is red while the pitch is out-of-tune and turns blue once the indicator is centred and the pitch is in-tune. When you tap on a song idea, it expands to reveal more controls. You can rename the idea, delete it entirely, view/edit your star rating, view/edit tags, play/pause the idea, toggle the bass and drums on or off, view the chords, drag the waveform to jump to a certain point, or tap the waveform to open the main editing view. Though it’s possible to play back the song idea from this screen, (and watch the waveform scroll by with the chords superimposed), I much prefer to use the full editing view for playback. In addition to everything you can do from the song idea selection screen, the main editing view allows you to attach notes/comments to the song idea, edit the tempo and time signature, edit the chords and define regions without accompaniment, tweak the energy and performance of the band, trim the audio file to a shorter selection (and save it as a new idea), and also gives you several options for sharing/exporting your song idea. Because of the quicker access to more editing functions as well as the larger view of the waveform and chords, I much prefer to use this screen for playback. Notes and tags are just as easy to use as you’d expect. Apart from creating your own custom tags and attaching whatever comments you want, you can also keep track of guitar tunings and capo position. The guitar tuning entry includes some common presets (standard: E-A-D-G-B-E, drop D: D-A-D-G-B-E, open D: D-A-D-F♯-A-D, etc.) but you can also create your own custom tunings by selecting your own pitches for each string. With dots on frets 3, 5, 7, 9 and 12 just like it appears on all guitars, the capo position entry is super quick and easy. Saving your capo position in the song idea’s notes is only there for future reference — it doesn’t change the names of the chords displayed. So for example, if you put your capo on the second fret and play an Amin chord using open strings, you’ll still see Bmin above the waveform, that is, the real name of the chord as if you played a barre chord without a capo. If you took a long time to start playing your instrument after tapping the record button, or took too long to stop recording once you finished playing, you can cut out or trim the beginning and end of the audio file. It’s as easy as dragging handles over the waveform to highlight the area you want to keep. This also means that you can start recording, play through an idea several times until you get it just right and then trim out the bad parts later. The tempo & time signature settings allow you to set the time signature for your song but it only has options for 3/4, 4/4 or 6/8. What we consider “odd” or complex/compound time signatures in the Western world are actually very common in other cultures — 5 beats per bar, 7, 9 or even 13 in Greek music, for example. That said, the three time signatures in Music Memos should cover about 90%+ of Western music. Those are the only time signatures that the band can play anyways, at least for now. Changing the half/regular/double tempo controls lets you change the feel of the tempo so that the band plays along half as fast, or twice as fast. Correspondingly, it also expands or contracts the waveform (visually, not sonically) to fit more or less chords per measure. The downbeat controls let you move the first downbeat by tapping on the arrows. Notice in the image how the waveform is moved over to the right of the first bar-line… This is useful if you started with a pickup into your song idea, or if the beats don’t sound like they’re lining up with the band the way you intended. Immediately after you finish recording a song idea, Music Memos automatically (and instantaneously) analyzes the arrangement and suggests the chords that you played. You can edit these chords and make adjustments of course. The chords are what the virtual bassist uses to play along with you so it’s important that they’re correct. To edit the chords, you tap on the “Cm7” button which will enter a chord-editing mode. The waveform will be overlaid with regions to indicate the duration of the chords. You can either tap on these regions to change the name of the chord, or drag your finger across the waveform to create a new region. The app will suggest some chords for the selected region, or you can always tap “custom” to enter your own chord. Music Memos has custom chord options for major, minor, diminished, augmented, 5, sus2 and sus4 chord suffixes as well as extensions 6, 7, major 7, add 9, 9, 11 and 13. You can also select an alternate bass note for the chord, to get C/E for example. The app greys out nonsensical choices so you can’t select a 6, major 7 or 13 extension on a diminished chord. And vice-versa, you can’t select diminished nor augmented chord suffixes with a 13 extension selected. (Yes, it does allow min(Maj7) chords.) The Music Memos app knows a bit of music theory! You also have the option of setting a region to “No Chord” or “No Band” if you need the band to stop playing at any point in the song. See the Simple Chords sample that follows if you want to hear how it works. I’ll go into much more detail regarding editing chords and the app’s chord detection capabilities in my first impressions below. I was expecting to add more instruments to my song ideas like a piano accompaniment, or at the very least be able to select from different genres and styles for the bass and drums but the app’s controls are much more limited than that. From the main editing view of the Music Memos app, you can share your song idea to the Notes app, GarageBand, Mail, SoundCloud, YouTube, iTunes, iCloud Drive or any other app on your device with a sharing extension that accepts audio files. Sending to iCloud Drive gives you three choices: export a high-quality 24-bit uncompressed core audio file of your original recording without drums nor bass; export a 16-bit stereo mix-down with drums and bass; or create a GarageBand file. Though the Music Memos app does have its own iCloud Drive folder, you can still save it into any folder you want. The app lets you add artist, composer and album metadata while presenting you with six audio quality presets from 64kbps AAC to 16-bit uncompressed AIFF. When you export to GarageBand, you’ll end up with three separate tracks: your instrument, bass and drums. You can process each track individually in GarageBand, adjust levels, add effects, create additional tracks and start building a full-fledged song from your idea. The bass track is exported as MIDI so you have more control over the sound and can even change individual notes, while the drums are exported as audio to preserve their realism. Tempo information is also included in the export so the bar lines in GarageBand will line up the same as in the Music Memos app. I use many of Apple’s Mac and iOS apps on a daily basis and enjoy the experience most of the time. I had high expectations for the Music Memos app and though there’s lots of obvious room for improvement, it’s nonetheless a very solid 1.0 release. Before getting into my complaints with the app though, I’ll point out what I really liked about it. The app is very straightforward, user-friendly and easy to learn. Simplicity is hard to get right but it’s something that Apple knows how to do very well. Getting started with the app couldn’t be any less complicated. I appreciate the attention to detail — things like having fret dots in the capo entry view and disabling nonsensical chord choices. Having separate tracks exported to GarageBand is a phenomenal feature and I was pleasantly surprised to see that even AIFF exports include tempo metadata. I found the processing time to create a mix-down to be lightning fast. In terms of the quality and accuracy of the band, it’s decent. Check out my samples below for much more commentary on that. Overall, it’s a great app and I like that it doesn’t try to do too much. Music Memos is for quickly recording your song ideas on the go, not a full-featured mobile DAW. When you’re ready to add more tracks or vocals to develop your song idea more fully, that’s what GarageBand is for. More than just a simple audio recorder, the main feature of the app is to be able to hear what your song idea will sound like with a band. I don’t have complaints about the recording features nor do I have any complaints with the numerous export options. All of my complaints with the app have to do with the accompaniment features. But first, a quick suggestion. Missing from the app is the ability to export or print out a simple chord chart so that you can test your song idea with real musicians. If the app is already displaying measures with chords, it shouldn’t be too hard to add that, no? It doesn’t have to be a full-blown lead sheet with melody or breaks, just a simple chord chart PDF would suffice. I found the options for accompaniment to be way too limited. I was expecting to add a piano accompaniment, or at the very least the ability to select from different genres and styles for the bass and drums. In order for the bass to play along and not sound terrible, the chords have to be accurate. Music Memos would almost always get the key right but much too often the suggested chords were completely wrong. This is my biggest complaint with the app. You can see three examples of this in my included samples below. In chord-editing mode, I came across several annoying bugs. I wanted to listen to regions individually before renaming the chords but playback would always start at the third measure and not where I left off. After editing the chords in a region, I’d tap the play button expecting it to resume playing at the playback marker but instead it would jump to measure 3, forcing me to scroll to the top and drag the playback marker back where I wanted it. Very annoying and time consuming! I tried starting a song idea with a “no band” region but it would never work. The band just didn’t play for the whole song. It did work for me in the middle of a song though, just not at the start. I can hear from Apple’s R&B Piano sample that it should work, so I think I must have encountered a bug. While increasing the length of regions, if you accidentally expand a region too far it removes the other regions you dragged over. It was very annoying and made the whole process of fixing erroneous chords very irritating. There is a “reset” button that reverts your changes to the last saved version, but I found myself having to make just a few edits, click “done” to save my changes and then go back into the chord-editing mode to continue making edits. This way, I wasn’t being forced to revert back to square-one whenever I accidentally dragged a region too far, which was often. Having an incremental undo instead of reset would be much more helpful. It wasn’t immediately obvious in the custom chord dialog that I could select the greyed-out enharmonic as the root of the chord. I wanted B♭ not A♯ and it looked like the greyed out enharmonic was just there as a visual cue but I later discovered that I could in fact select B♭ instead of A♯. It’s such a small target to hit with your finger. The fact that the chord suffixes are not exhaustive was a disappointment at first, but since it’s only being used to create very simple bass lines, it’s actually more detailed than it needs to be. It would be nice to have a ♭5 option (like A7(♭5) for example) but for now you’re stuck using a diminished suffix to get a ♭5 in the bass line. If harmonic accompaniment like keyboards and piano are added to a future version, they’ll also have to beef up their custom chord settings to include altered extensions like ♭9, ♯9, ♯11, ♭13, etc. Editing chords in the app is such a time-consuming and tedious process that had it not been for my dedication to writing this blog post and wanting to have at least three samples to share, I would have given up after just one song idea. In fact, I could have recorded my own bass line in GarageBand using a software instrument and added a drum loop (of my choice) in considerably less time, with much less effort and with an appreciably better end-result. Indeed, editing chords in Music Memos needs to be easier, but it wouldn’t be as big of a deal if the chord recognition was better and the app identified chords correctly most of the time. That’s the real problem. I’m hoping that future versions of the app will expand accompaniment options and substantially improve chord detection. Being my very first time using the Music Memos app, I wasn’t sure what to expect. While tuning my guitar with the app, it occurred to me that maybe I should play something that might challenge the chord detection a little. Maybe a D7(♯9) chord somewhere to see if it tricks the app into thinking it’s a minor chord? Sure enough, the app was stumped by a D7(♯9) chord and gave me both minor and dominant chords in the same measure. But worse, it kept suggesting D♭ where I played a simple B♭min7 chord, C in place of E♭min9, Amin in place of FMaj7, and on and on. All of the chords I played were voiced with a very prominent root at the bottom too. I wasn’t at all impressed with the suggested chords and found it very time consuming to edit the chords on my iPhone so I decided to scrap it entirely and try on an iPad instead. Once on the iPad, I decided to only play chords and skip the melody while replacing the intro with a single-chord pickup into the song to see how it’s handled. The chord detection the second time around was no better. I started editing the chords and got to the sixth measure before I thought to take a screenshot, so the first six bars in the image has my edits, not the app’s erroneous suggestions. Here’s audio of the end result, with the band playing along, after I fixed the chords: Sabor A Mi. The iPad mic is not very good so the guitar sounds horrible, almost like it was played through an old telephone. I chose acoustic bass and the vintage kit with hi-hats. You can hear that the intro is a little weird, but at least the bass does a pickup into the first verse. Also, the drum fills are where they should be for the most part and the bass actually does respond to my recording by pausing on the V chord just before the second verse. Cool. The drum fill at the ending of the song is a little premature and leaves a lot to be desired, but it’s not atrocious. The bass on the other hand, sounds like it actually follows my lead and hits the last chord with me perfectly. With headphones, you can hear that the tail-end of the guitar is cut off on the track. It would be nice if they could automatically add a short 250ms fade to the beginning and end of the exported tracks so it’s not such a harsh click. For my next test, I wanted to see how well the band could follow along if I amateurishly sped up like crazy. The chord suggestions on this test were even worse than on Sabor A Mi. I also recorded this one using the iPad mic so the guitar still sounds horrible. Here’s audio of the end-result with the band playing along after I fixed the chords: Rushing Samba. I chose electric bass and the modern kit with cymbals on this one. There’s kind of a rock-ish vibe to the bass. The drums and bass follow the tempo increase pretty well and the drum fill into and out of the B section is right on. Nice. At the end of the song, the band doesn’t follow my lead when I slow down though, so the whole ending is destroyed. Yuck! It would be super hard to play along with this in real life though, that is, if the drummer hasn’t thrown a stick at you by then for rushing so much! For my last test I wanted to believe that the chord detection in the Music Memos app couldn’t possibly be that bad so I thought I should play a dead simple I-IV-V progression with a iii-vi-ii-V7 bridge — something that any musician would be able to follow along blindfolded. For this one, I went back to the iPhone and you can immediately hear that the iPhone 6s mic really does sound a lot better than the iPad Air 2. Ironically, the iPhone 6s mic sounds less like it was recorded through a telephone… I also turned on the “auto” recording mode for this one and it worked perfectly. Regardless of the better-quality audio going into the app, you can see that the app still struggled with getting the chords right. The I-IV-V progression is correct every time, but the iii-vi-ii-V7 bridge has its major relatives D-G-C-D7 instead of Bmin7-Emin7-Amin7-D7. Yikes! Here’s audio of the end result with the band playing along after I fixed the chords: Simple Chords. You can hear the effect of the “no band” region when the band stops in the middle of the song. But unfortunately, the band stops right on the and-of-four and doesn’t hit the downbeat, which is weird. I suppose I could have played around with putting a short chord region right on beat one, but I shouldn’t have to do that, the app should be able to figure out that much without user intervention. The ending is not the greatest, but it works. What really bugs me though, is the fret noise from the bass at the end. That’s just ugly! For recording quick song ideas on the go, the Music Memos app is great, especially when you consider that it’s only a 1.0 release. There’s certainly a novelty in having a band play along automatically that sounds instantly appealing, but it does require much more editing work than anyone would consider to be “automatic.” I’m not sure that most people will find the required amount of effort to be worth it. The app’s chord detection is just too inaccurate and the process of editing chords is too time-consuming to produce a quick result. Most musicians will, without question, achieve faster and better results using GarageBand. I used to use a fifth-generation 80GB iPod with a Belkin TuneTalk Stereo Mic to record rehearsals and live shows in 16-bit WAV with remarkable results. Now that this new Music Memos app records in much higher quality than the Voice Memos app, I’m curious to try using my iPhone as a live recording device. I wanted to know if there was a time limit on recordings so I tried recording for 45 minutes and it didn’t stop. Later, I tried recording for 75 minutes and it still hadn’t stopped. That’s probably long enough for what I need, so I’ll be testing it out soon! I’ll need to find a good stereo mic, but first I should find out if the Music Memos app will record in stereo or if its limited to mono only. Hm. 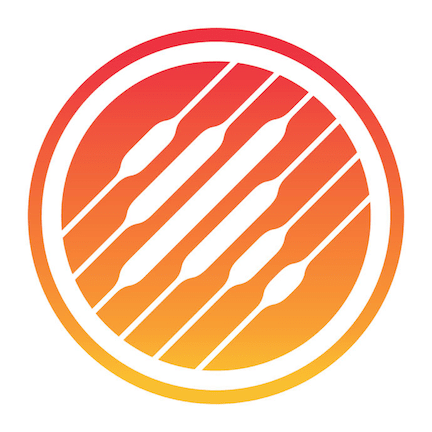 Music Memos: Apple’s New Free iOS App was published by Daniel Menjívar on January 28, 2016 at 8:15:01 PM EST and last updated on April 18, 2019 at 4:41:08 PM UTC .